2016 - Back again to Child and Family Services Domestic Violence Shelter. Our club helped the shelter with a new family area, providing a book and DVD library. We also created a outside seating area for moms to sit while watching their kids. We packed 100 hygiene packs to give to families coming into the shelter. $10,000 to Hale Ohana. 2015 - Zonta worked with Neighborhood Place of Puna to create a fun Haloween event for the families of Puna. Our club created healthy snacks, crafts and had costumes to give for the holiday. NPP serves the Puna families and provides services for them. $10,000 to NPP. 2014 - Neighborhood Place of Puna. Once again we created move-in kits, sewed curtains and painted for this helping service. NPP had moved from its Pahoa location. $10,000 grant went to NPP. 2013 - "Magnificent Me!" A spa day for Hope Services clients, sharing basic hygiene and makeup information, and sharing a clothes rack. A fashion show of moms dressed from the rack had the kids cheering. $10,000 to Hope. 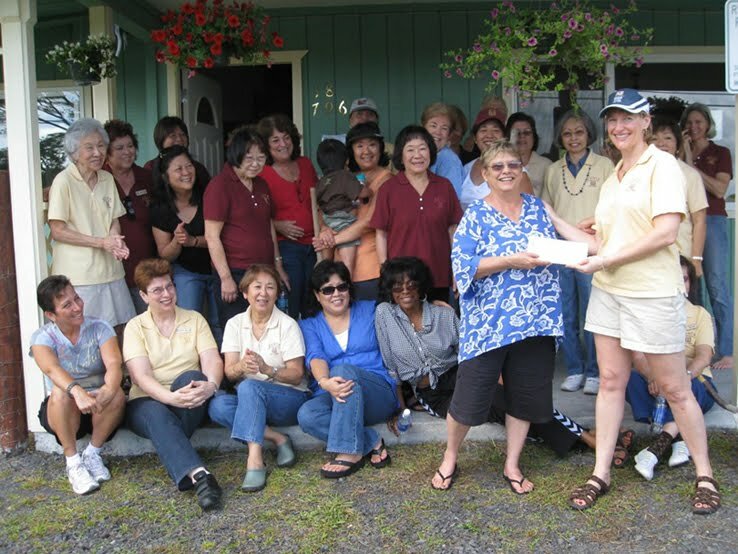 2002 — Hilo Bay Clinic, collating, painting, garden work, home deliveries — $10,000 Grant To Hawaii County Police/Hawaii Alliance for Community Health for brochure/card on domestic violence safe place.